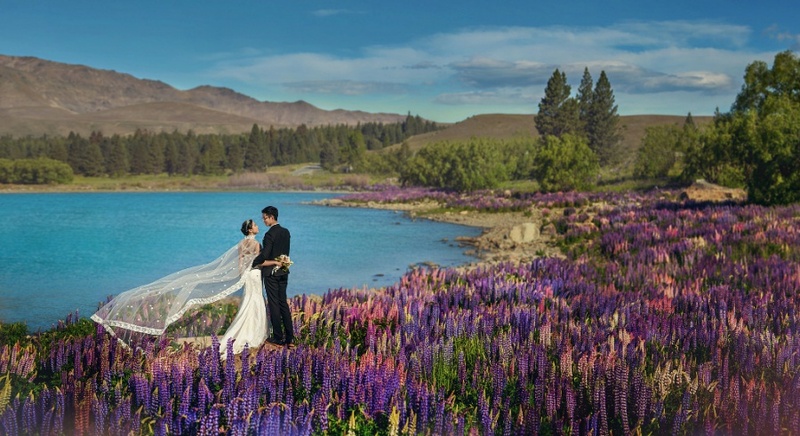 New Zealand is a beautiful place and it is no wonder that our beautiful couple, Barry and Melody decided to have their pre-wedding photoshoot here! When we approached Barry for a short snippet of his love story with Melody, we never expected something as adorable as this! 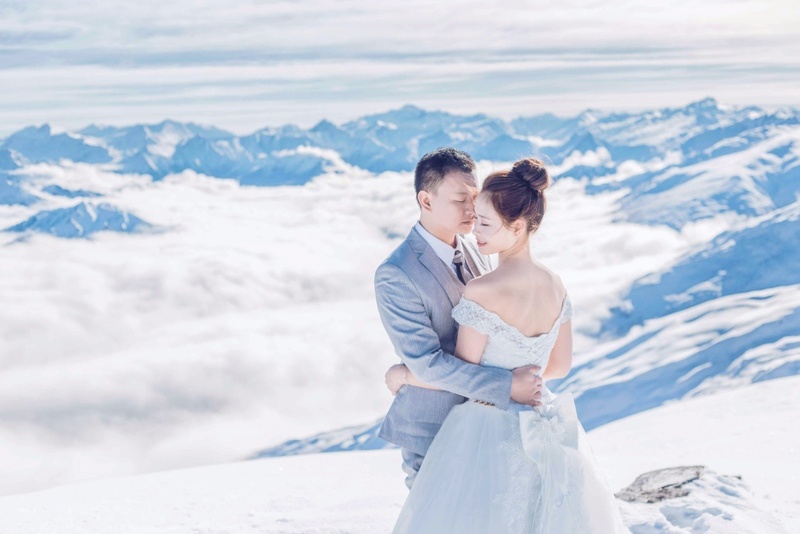 Check out their stunning photoshoot and read on to find out about how Barry proposed with just a photo of a diamond ring! Barry and Melody met at a gathering over mutual friends and hit it off right away. Not letting such a wonderful girl slip away, Barry quickly asked for Melody’s number to keep in contact and the rest is history. Warning: This story will set your heart swooning! Barry initially planned to propose to Melody during their upcoming New Zealand getaway. However, while on a trip to Singapore, they started discussing about their life ahead. With a heart full of love and anticipation for their future, Barry couldn’t wait any longer and proposed with just a picture of the diamond ring that he had bought from back home. Of course, Melody said “Yes”! Who can say no to such a sincere and adorable proposal?? We are so glad that this adorable couple enjoyed their photoshoot with us. They were satisfied with all the places that we’d brought them to, which Barry felt fit perfectly with their theme and personalities! Wishing Barry and Melody the happiest of marriage, may you two always remain so irrevocably in love with each other. Looking For A New Zealand Wedding Photographer? 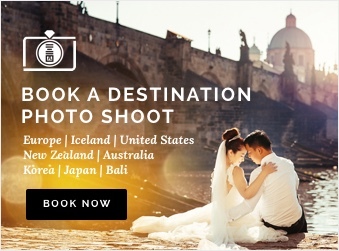 Are you planning a New Zealand pre-wedding photoshoot? OneThreeOneFour specialises in overseas wedding photo shoots and we will be sure to capture all your most precious moments. 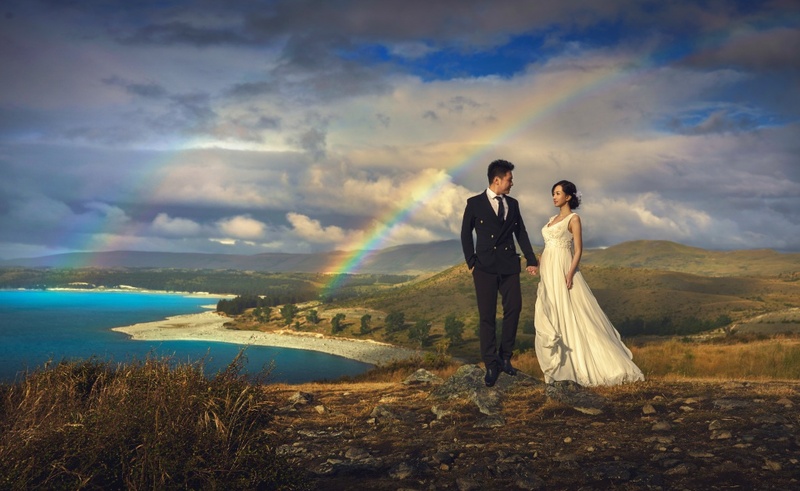 Learn more about our New Zealand pre-wedding photography packages.